The questions surrounding deep learning techniques used to be related to use cases, but more and more businesses are seeing operational hurdles to their adoption. Deep learning algorithms are some of the most advanced analytics techniques out there today, so businesses are rightly asking how they might be able to adopt them in their own operations. But the answer isn't always clear. There's the obvious question of how analytics algorithms for things like image recognition and free text analysis help the average enterprise. But then there's also the question of whether deep learning techniques are a good fit for regulatory and other business process reasons. 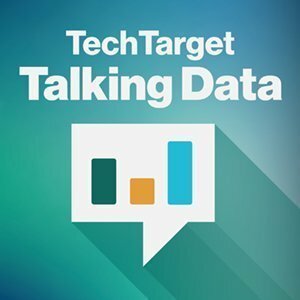 In this edition of the Talking Data podcast, we look at this issue and other factors that may be holding typical enterprises back from adopting deep learning algorithms. We also look into how some businesses are solving the business process challenges that can come with embracing deep learning techniques. Leading tech companies like Google, Facebook and Amazon are some of the pioneers of today's deep learning algorithms. But a lot of enterprise users say what works for the big guys doesn't necessarily work at their level. They're interested in the power of deep learning, but are concerned that the unique business models of the big tech players may not be the best fit for them. This doesn't mean that more average enterprises can't get a lot of value out of deep learning techniques. It just means they have to look a lot harder at the specific use cases to which they apply the models and get creative about solving some of the business process challenges that can come with the technology. Listen to the podcast to learn more about how enterprises are addressing this challenge. What do you think are the biggest reasons businesses aren't adopting deep learning techniques?